Deseret Book and Shadow Mountain Records are pleased to announce the debut album by artist Josh Wright. 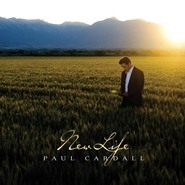 This critically acclaimed concert pianist has teamed up with Emmy award-winning producer Sam Cardon for an unforgettable new release. With this first-of-its-kind record, Josh has taken classical masterpieces and woven them together with beloved hymns to create fresh and unforgettable arrangements. Performed under Josh's masterful fingers, these songs will move you like nothing you've heard before. 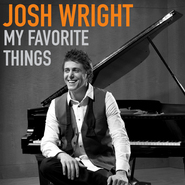 Billboard #1 artist Josh Wright has delighted audiences across the United States and in Europe. His self-titled album topped the Billboard Classical Traditional chart just three weeks after its release in April 2011. Josh studied under renowned pedagogue Dr. Susan Duehlmeier at the University of Utah, completing his bachelor of musical arts degree and master of music degree. Josh Wright delivers an amazing CD, a great collection that will uplift and bring a great spirit to your home. 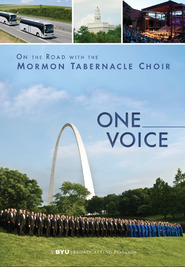 It is a wonderful selection of pieces, upbeat, spiritual, energizing, renewing all in one CD. I just finished listening to Josh Wright's new CD. It is excellent!!! It is amazing the way he can play both piano's at the same time. I also really enjoyed the way he blended the hymns with the classical music. It was truly wonderful. I would recommend this CD to anyone who enjoys beautiful music. I look forward to hearing more from this new young artist.